Eighteen months after completing our work on the Pararchive project and the launch of the Yarn storytelling community, Carbon was invited to extend Yarn with a new Projects feature. In use by the Thackray Medical Museum’s Birth Stories community research project and separately by National Holocaust Museum, both projects sought to add features enabling their research to be represented as distinct in the universe of Yarn stories. Carbon designed and developed a Projects for Yarn feature, enabling any user to create a unique “Project” home page within which they could collect and curate stories from many contributors. 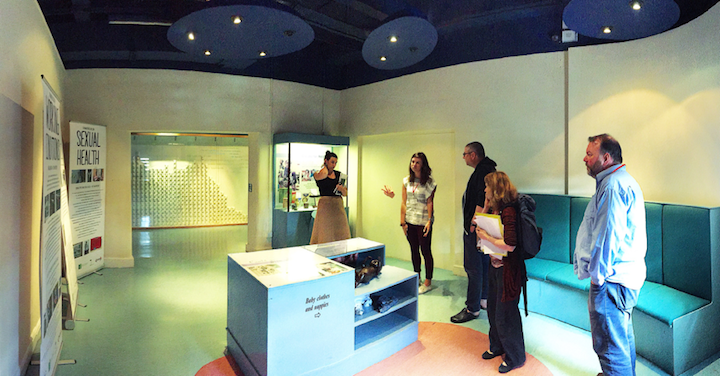 Carbon also advised on creating a ‘story room’ installation within the Thackray Museum, where visitors could browse stories from the Birth Stories project using an interactive touchscreen, as well as contribute their own experiences. Projects for Yarn was launched at the museum’s Using Digital Tools to Engage Difficult Heritage symposium in December 2016. CARBON is a boutique digital innovation and R&D practice. Our mission is to discover the elemental building blocks of the near future and fashion them into new experiences. Please use the form to contact us, or alternatively, you can email us direct at hello@carbonimagineering.com.